We offer compellingly realistic building and architectural photography for architects, interior designers and project developers. It is the intelligent use of angles, edges and viewpoints that accentuates and draws particular attention to key architectural features. Is it all about the straight lines? When it comes to architectural photography, rarely would anyone wish to see a building's verticals converging - that's not how the human eye sees the world and it's not how architects have designed their buildings. However, it is the freedom of expression that a professional photographer's trained eye enjoys with unusual viewpoints that really brings your buildings to life. 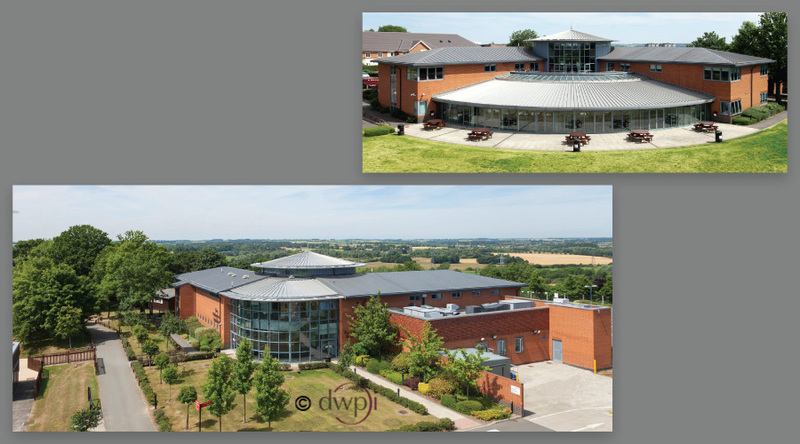 RetouchingCGI offers a great impression of a building but photography delivers the reality of the architecture. Being there is everything. In our photographer's bag of tricks we bring experience with wide angle lenses, panoramics, expert lighting, pole cars and drones to produce exciting architectural images. Often we combine several images together, polarising certain angles of light, using HDR techiniques to define edges and we make intelligent use of post processing to remove people from inappropriate areas. Shoot your building when it is at its best and see your architecture last for ever. The position of the daylight falling into and onto a building is really very important - you never want the sun over your shoulder when photographing architecture, nor do you want sunlight coming straight into the camera as we'll be unable to capture the texture, shadow and shape of the building. We'll take every opportunity to evaluate the architecture before going on-site so we give ourselves the best chance to get the best shot as quickly as possible. Ideally this insight will come in the form of a brief from our client: knowing what time we can get on site, how the sun rises and sets in relation to the architecture and when staff, visitors and suppliers will arrive and leave the building helps us plan to arrive on-site at the best possible time. Aerial photography of buildings, architecture and the built environment is, however, a different photographic discipline and one that, again, draws upon all the photographer's acquired skill and expertise. As well as an appreciation of how light falls upon the land and buildings below the aerial photographer must plan ahead, get a full site brief from the client, GPS co-ordinates and even check there's no junk left of the rooftops of a building - it's not just a case of simply finding a window in the weather. Booking a helicopter requires a firm commitment to the best time to fly and the more time we spend planning the less the aerial photographs will cost. From the moment of take-off the pressure's on to arrive and quickly find the best angle to photograph the architecture in the best light. Aerial photography offers very little air-time, the photography needs to be right first time as there's no second chances - our aerial photographer is compelled to fire as many shots as possible. With aerial photography you do your best to pick a clear day with blue skies and good weather but once the photographer gets airborne things always look different, you're up amongst the haze and what becomes even more apparent is the continually changing light. No matter how much aerial experience a photographer has, what never changes is the fact that from the air everything looks the same. It's easy to pick-out landmark buildings but remaining spatially aware, keeping one's bearings and being able to rapidly and accurately identify target buildings is a key skill - one that, thankfully, is now a little easier thanks to Google Earth! DWPi flies into London for aerial photography from sites across Herts, Beds and Bucks. Call 01582 400123 Time is money. Read our tips on correctly briefing an aerial photographer.